Burke's is proud of its talented and dedicated after-school music instructors! Lessons are open to new students by application and when there is availability. Please contact Ms. Q at cyndera@kdbs.org for more information! Nicci Welch has been teaching piano, cello, and coaching instrumental ensembles in Los Angeles, New York, and San Francisco since 1985. She also performs as a freelance cellist with many orchestras in and around the Bay Area and is a regular recording artist as well. She has been lucky enough to collaborate with many established film score composers (Carter Burwell, Stephen Endelman, Hans Zimmer) while touring with a soundtrack orchestra in New York, Chicago, Boston, and Los Angeles for several years. Nicci also frequently performs and contracts orchestras/instrumental ensembles for major artists performing at various venues throughout the Bay Area including: Idina Menzel, Josh Groban, Kristin Chenoweth, Bijan, Echo & the Bunnymen, Peter Gabriel, Smokey Robinson, Donna Summer, Roger Daltrey, Herbie Hancock, Bernadette Peters, Yes, The Moody Blues, Sheryl Crow, Stevie Nicks, Joni Mitchell, Trisha Yearwood, Jewel, Yanni, Trans Siberian Orchestra (TSO), and many more. Katelyn Wilson is an opera singer from the Chicago suburbs with a Master of Music degree from the San Francisco Conservatory of Music. She completed her undergraduate degree from the Manhattan School of Music and teaches piano, voice, and flute. She has performed with the New York Philharmonic, San Francisco Symphony, made her German debut with the Lyric Opera Studio of Weimar, and currently performs all over the Bay Area. Katelyn has been teaching piano and voice since she was in high school and has maintained her private studio for the last several years. A daughter of two musicians, she understands the importance and necessity of exposure to music, even at a very young age. The joy of music lasts a lifetime and bolsters academia, as well as creates another nurturing community. Adrienne Sengpiehl has been the principal second violinist of Midsummer Mozart since 1996 and spends Augusts in Idaho as a member of the Sun Valley Summer Symphony. Since playing with the New World Symphony under the direction of Michael Tilson Thomas, she has continued her career actively freelancing with Bay Area orchestras, including the San Francisco Symphony, San Francisco Opera, Santa Rosa Symphony, California Symphony, Marin Symphony, and Symphony Silicon Valley. As a chamber musician, Adrienne has been heard throughout the Bay Area from Noontime Concerts and Old First Concerts in San Francisco to the Napa Valley Opera House. She has recorded for numerous movie soundtracks, video games, and special projects at Skywalker Ranch. Recently, she performed in the pit orchestra for Soft Power at the Curran Theater in San Francisco. An avid music educator, Adrienne is currently a Teaching Artist for the San Francisco Symphony's Music and Mentors Program visiting SFUSD Middle and High Schools, an Artist in Residence at Ruth Asawa School of the Arts, creator and instructor of "String Sisters" at Katherine Delmar Burke School, and maintains her private home studio. She is also both former faculty and affiliate teacher for the Virtuoso Program at the San Domenico School, and performer for the San Francisco Symphony’s Adventures in Music Program. 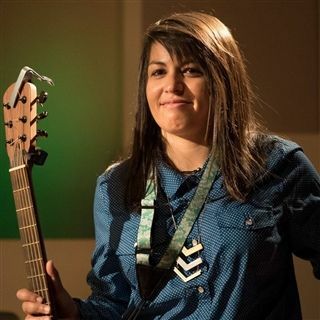 Adrienne is a featured clinician at many summer music institutes, including the Omaha Conservatory of Music Institute, Summer Music Institute/SVSS Music School, Sound Encounters, and formerly at Summer Music West at the San Francisco Conservatory. 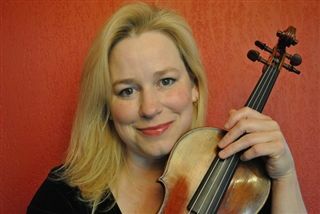 She is also a Suzuki Violin Method Specialist and enjoys being a mom to two wonderful sons. Ms. Sengpiehl holds a B.M. degree from the St. Louis Conservatory of Music and an M.M. in violin performance from the Juilliard School. Stephanie Bibbo began as our Burke's after-school violin instructor after returning from Bogotá, Colombia, where she was Adjunct Professor of Chamber Music at the Universidad de los Andes. She is a member of Opera Parallèle, and has performed with orchestras and chamber music ensembles in venues throughout Europe and the United States, notably Boston’s Symphony Hall, San Francisco’s Davies Symphony Hall, and the Library of Congress in Washington D.C. She has performed many different styles of music, from Baroque to contemporary as well as rock, soul, and traditional Persian music. 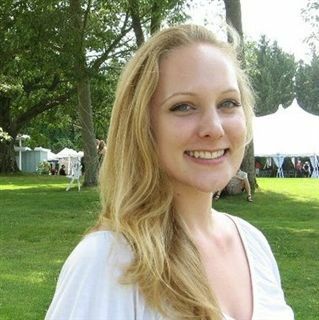 She received her Bachelor of Music in violin performance from New England Conservatory, and her Master of Music and Professional Studies Diploma from the San Francisco Conservatory of Music, under the private instruction of Ian Swensen, where she was honored for her musicianship in the New Music Ensemble. Besides her love for performance, Stephanie has a great passion for teaching students of all ages. Sonia Mokhtari is a passionate composer, sound designer, music teacher, and musician with more than two decades of extensive expertise. She plays piano, guitar, ukuele, and drums. Originally from France, her unwavering passion for all things music began early on. She received an M.A. in Music & Sound for Visual Media and a B.A. in Music Education from Lumière University of Lyon 2. Sonia also studied jazz and Arabic music at the music conservatories of Lyon and Vienne. To date, Sonia has proudly served as the sound designer and composer of a multitude of projects and companies. She has also worked as a music teacher and voice conductor since 2005 throughout San Francisco and France and performed in multiple bands. As an avid lover of music, Sonia aims to spread her enthusiasm and appreciation to people across the globe through her artistic endeavors. Ultimately, she sees music as a universal language that brings people together no matter where they’re from. Van Labrakis is a guitarist, multi instrumentalist, and music producer in San Francisco. Since 2003, Van has been teaching guitar, bass, piano, drums, singing, music theory and music production to students of all ages. 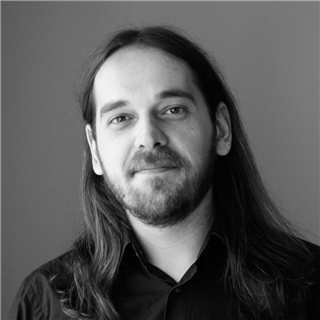 Originally from Athens, Van has performed, recorded, and taught music in London, Berlin, Los Angeles, and the Bay Area. San Francisco State University - B.A. Pacifica Graduate Institute - M.A.